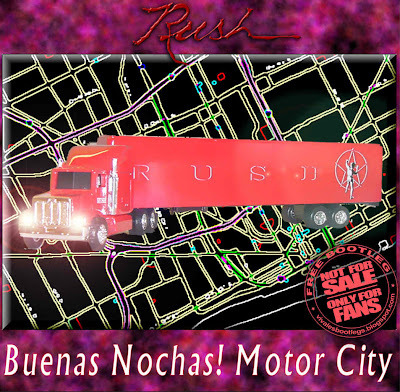 Recorded Live at Cobo Hall Arena, Detroit, Michigan, USA - December 02, 1978. Excellent+ Soundboard Recording :: CDr :: Lossless FLAC. Files: 18. :: Size: 785 MB (flac). Notes: It's wonderful to find a source such as this show. There is a bit of flutter during the first song or two and Working Man's beginning is slightly cut. These are small prices to pay in exchange for a complete and uncut Cygnus X-1, Hemispheres and CTTH!!! Geddy is very talkative and Neil's drums are hitting hard. This show will be enjoyed by me for many years to come!! 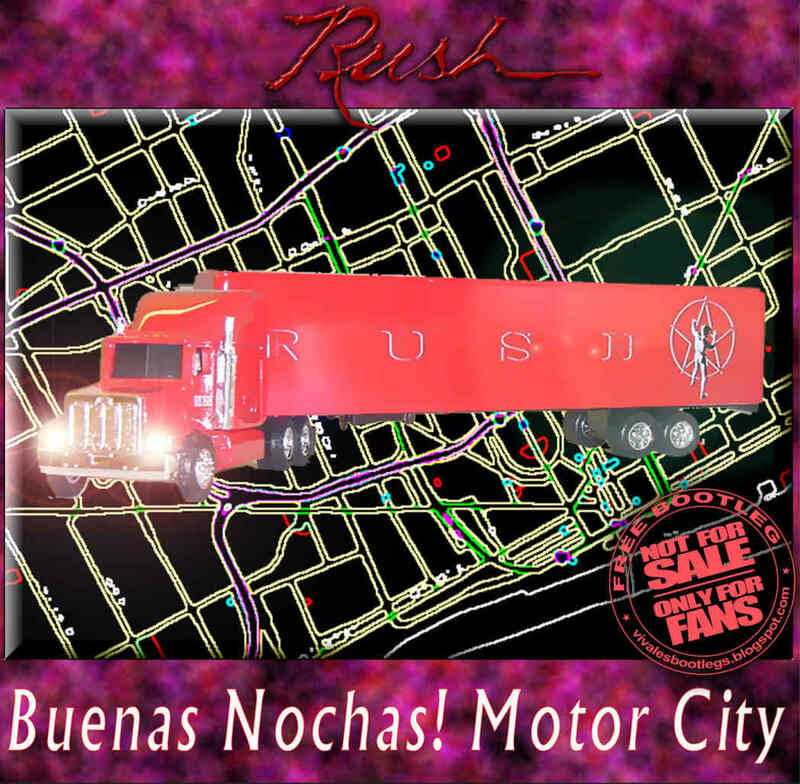 In regards to the artwork, the map on the front cover is an actual map of Detroit where Cobo Arena is located, and I do own the Rush toy truck!!! (Audio - 9) Review by LeeGeddy. This has to be my favorite show from the "Hemispheres" tour. The sound is incredible, and there are only a few minor gaps that keep this from being a perfect EX+. The beginning of the show is a little iffy, "Anthem" starting, jumping from the left channel to the right channel, but it really isn't a problem. And there is weird sounding part in "Xanadu" right before Geddy starts to sing, but it dosen't get in the way. And the cut in "Working man" isn't that great either, but I still love this show. Highly recommended. (Audio - 9.5). Review by Eric.<<-(Info taken from digitalrushexperience.com)>. the first disc is amazing-the second disc is password protected-what is the password? We don't use password in our uploads. One of the files u download is corrupt... download again this file or use the recovery function in rar.. our uploaded files have RAR recovery record.. I'm in need of some tech help. How can I burn a cd of rar files and, how can I eliminate the gap between tracks on the cd? HELLO MY PROG FRIEND !!! Many thanks for this one. MU llinks work fine. All the best for you.